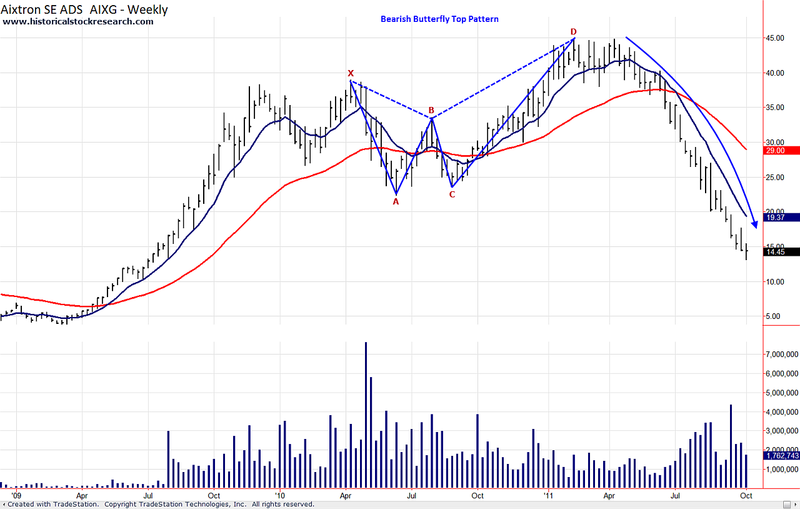 The Bearish Butterfly is a topping pattern that resembles the shape of a butterfly's outstretched wings. I know it sounds odd, but I've found that it's a good pattern for finding major tops in stocks. I'm going to quickly summarize the basics here so you will understand it and be able to identify stocks setting up in Bearish Butterfly topping patterns in the future. For more specifics on the pattern, you may want to do a Google search if it interests you. 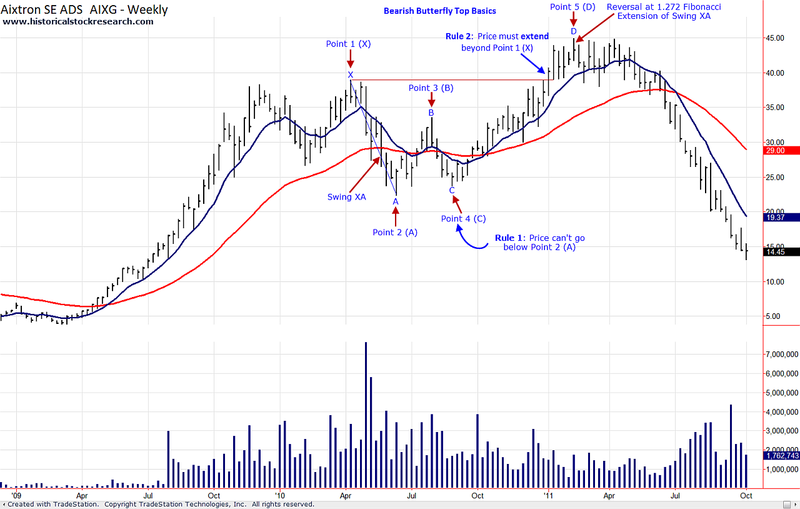 Extension pattern - The Bearish Butterfly is an extension pattern, which means it may set up after price exceeds a prior high. Fibonacci Levels - Price may reverse and rollover after hitting the 1.272 or 1.618 Fibonacci extension level of the X to A swing. Rules - Price cannot exceed Point A, but it must exceed Point X. Please >>CLICK HERE<< to go to Base Failures.